Cannabis drinks After we reported on the 3 most popular cannabis-infused party recipes, part 2 in our series contains a report on the most popular party drinks that have a special “kick.” After examining a number of cocktails, we have selected the Space Mango Lassi, the Magic Mai Tai and the Pomegranate High. 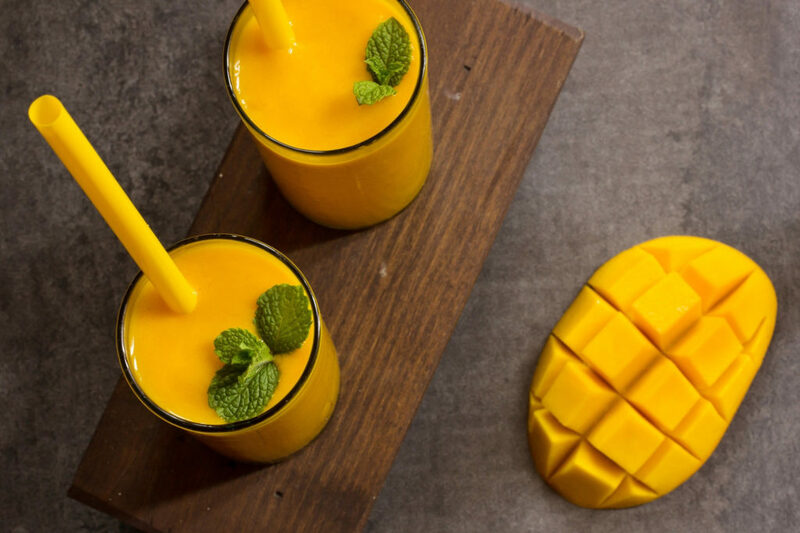 Many people are familiar with the classic Mango Lassi from clubs or the beach bar. The delicious, rather thick yoghurt drink has a strong fruity taste and is a great refreshing summer drink when served chilled. But now there is also a version available that delivers a special “kick” and thanks to the mango, the high is said to be even stronger than normal – that’s twice as nice! 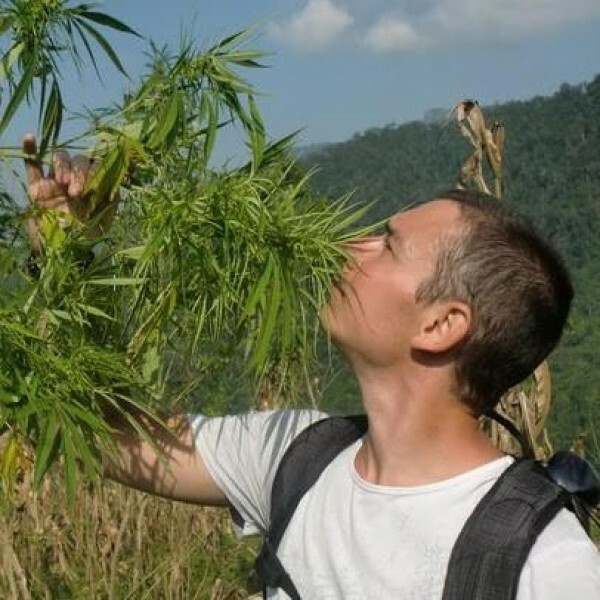 First of all, you will need to make cannabis milk, which will constitute a key ingredient of the Mango Lassi. To do so, bring the milk to a gentle simmer in a pan. Then add and mix in the finely ground weed. Let this mixture simmer gently on the hob for about 20 minutes. Finally, pour the milk through a fine sieve in order to filter out any large weed particles. Now, place the cannabis milk in the fridge to cool down. While the milk cools, peel and dice the mangoes. 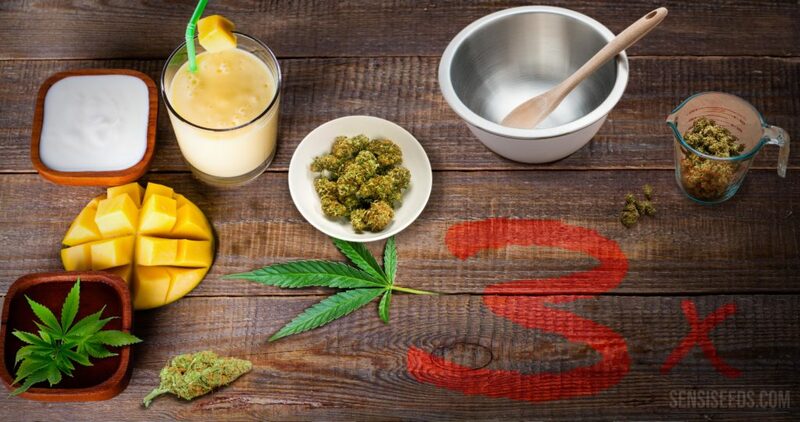 Once the cannabis milk has cooled down, place it together with the mango pieces and the natural yoghurt in a blender. Blend well. The Space Mango Lassi is now ready and should be consumed chilled! If you would prefer a slightly sweeter drink, add 1-2 teaspoons of sugar. However, we would recommend leaving out the sugar in order to be able to taste the mango even better. 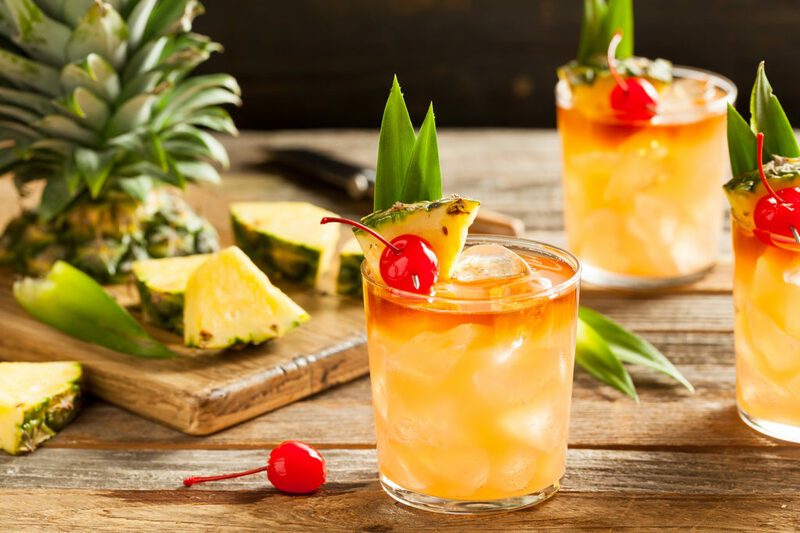 Literally translated, the term “Mai Tai“ means “out of this world” and that is a fitting description for how this drink tastes if you have prepared it properly. 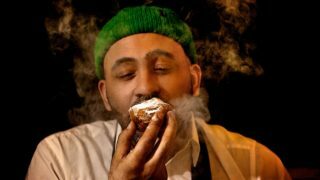 Of course, in our recipe we have given it a little extra something, thanks to the inclusion of the finest cannabis syrup. Now, strain all the contents into a glass that is half-filled with crushed ice. You can also add a few sprigs of mint to the Magic Mai Tai as garnish – and it’s ready! The cocktail we have named “Pomegranate High” is an alcohol-free variation with a special high. The drink is very easy and quick to prepare, making it ideal for small home parties. First, peel the oranges put them into a blender. It is important to use the pulp only. There should be no peel present. 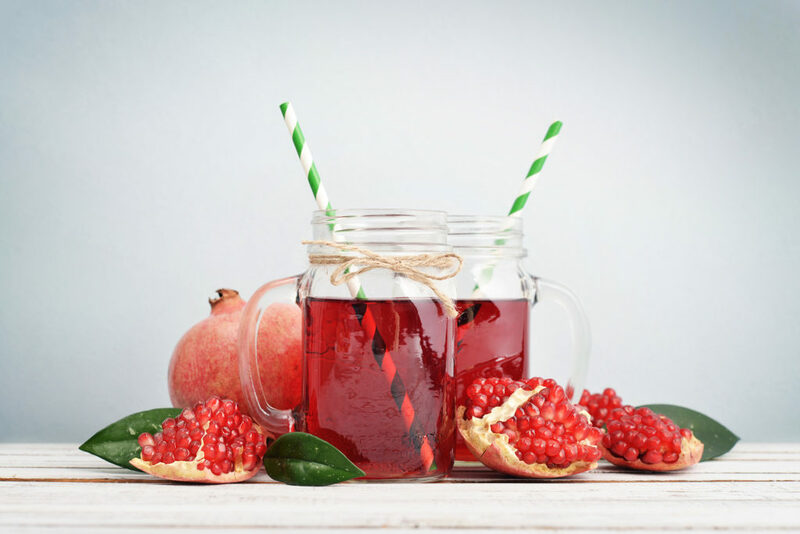 Next, squeeze the pomegranates and add 180 ml of the juice to the oranges in the blender. Now, add the remaining ingredients, such as raspberries, cream, cannabis syrup and sugar, and mix everything well in the blender. Finally, pour the cocktail into glasses half-filled with crushed ice – and they’re ready! We hope you will test out these cocktails at your next party and let us know what you think of them. If you have suggestions for different recipes, please leave them in the comments box! Two Amsterdam-based chefs are putting a new twist on some very old highs, creating haute cuisine dishes incorporating mind-altering herbs from around the world. After a successful local start, they’re hoping to make their High Cuisine concept a new culinary wave worldwide with a cookery book and TV series. 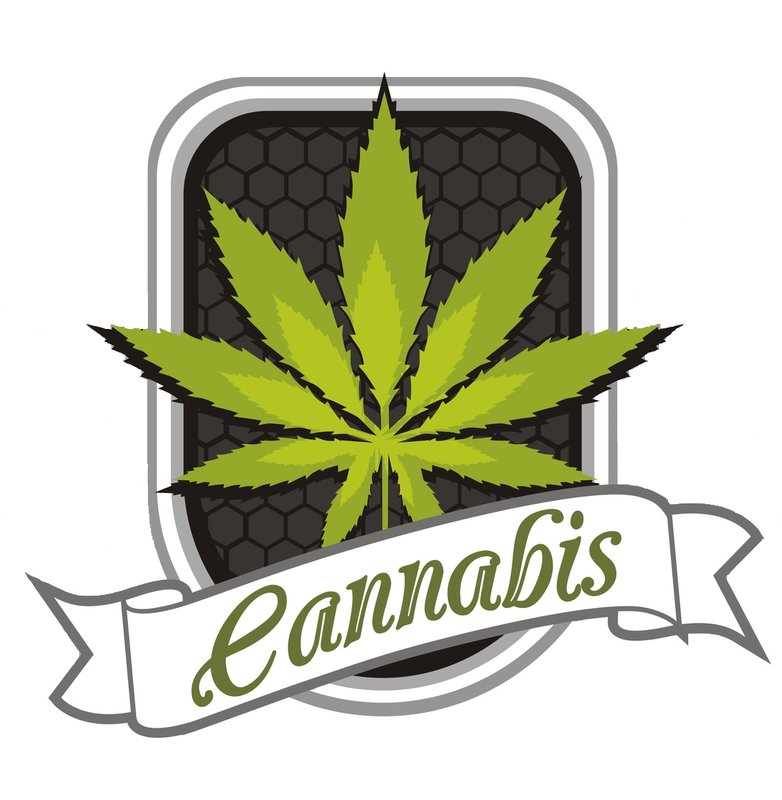 This video features the work of Dr. William Courtney, MD and the Cannabis International Foundation, an organisation that conducts and presents scientific studies on the Endogenous Cannabinoid System and Phytocannabinoids.